If it was a native animal we would be protecting it! But it’s an Aussie import first let loose over 180 years ago. It was introduced in 1837 to start a fur industry and that business continues today. There were hundreds of liberations up until the 1930s, and it was only after World War Two that all hunting and trapping restrictions were lifted and the possum was categorised as a noxious pest. Today all sorts of accusations are thrown at possums to justify trying to wipe them out. They destroy forests; they eat bird eggs and chicks; they spread tuberculosis to cattle; they have limited value. … researchers such as forest ecologist Bellingham are quite unequivocal: while possum can contribute to the demise of already old and dying kamahi, decline is primarily attributed to insect and fungal damage, water stress, storm damage and old age. Possum are not the principal agent. … over a ten year period, 124,000 autopsied possums showed an incidence of 0.04 per cent while 9830 possums autopsied last year showed zero incidence. Nathan Guy, Minister of Primary Industries, 2016 speaking in parliament about levels of tuberculosis in possums. So possums don’t destroy forests; as herbivores they don’t eat birds and in recent years they have had minimal Tb. In fact, they are a valuable resource which is why they were originally introduced. Possum fur is soft and warm. 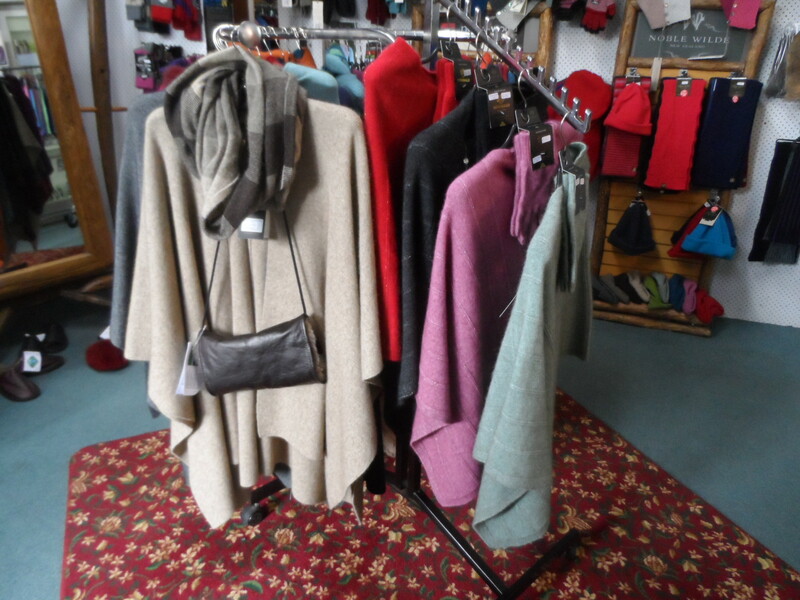 Possum skins can be used to make clothing and possum wool is mixed with merino sheep wool to make knitting yarn. Possum meat has been found to have a high quality protein which is rich in healthy omega-3 and omega-6 fatty acids. Some New Zealand companies use possum meat to make healthy pet food for cats and dogs. In the 1980s, possum meat was also exported to Taiwan, Hong Kong and Malaysia for people to eat. In these countries it was considered a special food delicacy and was called ‘kiwi bear’. Possum industries in 2016 employed 1500 people, and they earned more than $130 million each year. Demand for products such as clothing, gloves, footwear, furnishing, cat food and dog rolls is increasing. There are many agents and retail outlets throughout New Zealand. For example Possum Fibre and Skin Merchants New Zealand has 13 agents from Northland to Invercargill including one in Waikanae. Stu skinned his first possum nearly 60 years ago at the age of eight. Then in 1984 he broke the record for skinning a possum — 12.3 seconds! In his prime he could easily do 300 in a morning. Possum products are big business and he earns good money. As of September, 2018 plucked possum fur was worth $150 a kilogram. Stu sends much of his fur and skins to the Envirofur factory at Mahoe near Stratford. 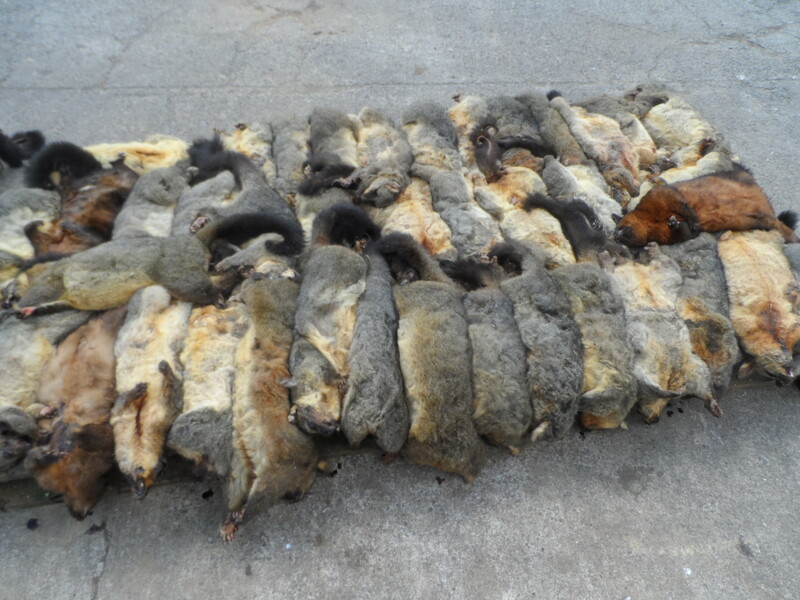 He also regularly sends possum carcasses to Whakatane for processing into pet food for Asian markets. Sometimes the possum fur is blended with merino wool to make high quality socks, hats, gloves, cardigans, skirts, jerseys, throws, blankets and cushions. 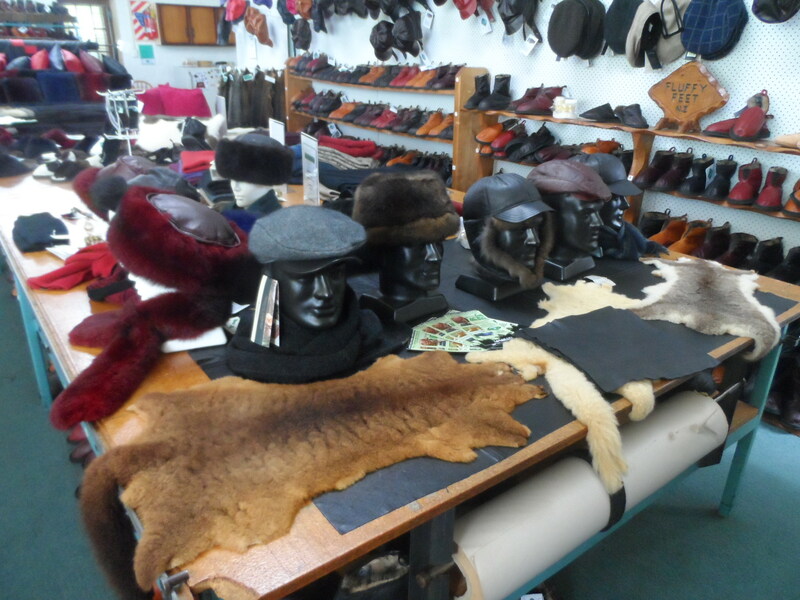 The pelts are turned into leather bags, shoes, headgear and accessories. Envirofur exports to over a hundred countries. Managing Director, Pennie Sands, spells out the resource value of possums: Purchasing any Envirofur product gives you a quality item and a chance to help in protecting the native environment.